Fresh ingredients, Fresh food.Hyderabad House pulsates with the spirit of offering an energetic dining experience that takes guests on an eclectic culinary adventure through some of the most popular cuisines of Hyderabad. TASTY: Got an appetite? Relish exotic spices and aromatic herbs, right at your table and ready to go. COMFORTABLE: Be yourself and come as you are – just out of bed, right off the field or after a night out. RELAXED: What’s the rush? 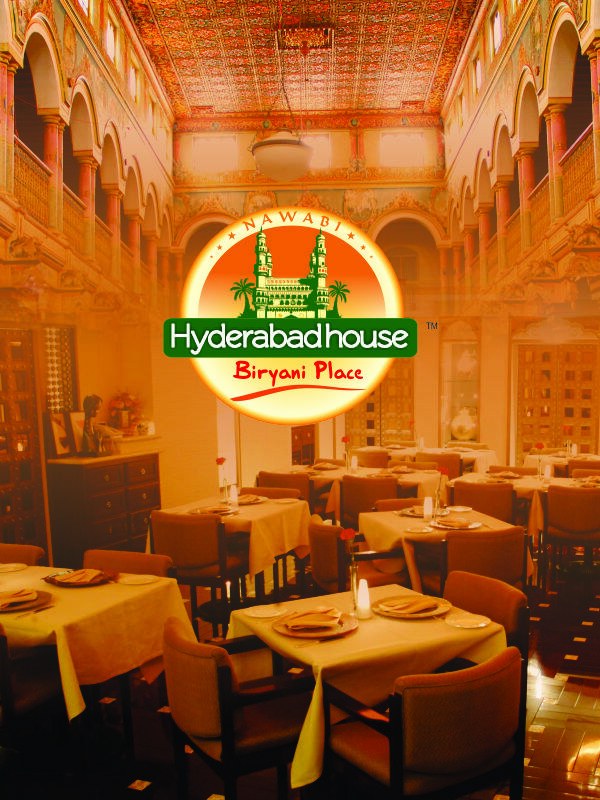 Experience the exquisite simplicity of authentic hyderabadi food at Hyderabad House, with food that awakens the senses with subtle flavors, creative flair and delicate finesse. SPECIAL: Laughing. Sharing. Enjoying. Memories are made everyday at the table – you don’t need a special occasion, dining at Hyderabad house itself is an occasion to celebrate. EXCELLENCE: We expect the best from ourselves and each other. We find creative, new ways to delight our guests. We do what we say we will do. We are responsible for our actions. INCLUSION: We respect and value the diversity of others. We benefit from many points of view. TRUST: We collaborate and build trust through open, honest communication. © Copyright hyderabad house. All right reserved.